Whilst the New Forest is a wonderful place to stay, it also makes a superb centre for exploring more widely: for walking along the Solent Way on the nearby coast, relaxing on sandy beaches or travelling to Dorset's seaside resorts and attractions. Delightful, out-of-the-way country villages, and historic towns and cities are within easy travelling distance, and so is the still imposing ruined castle at Corfe. 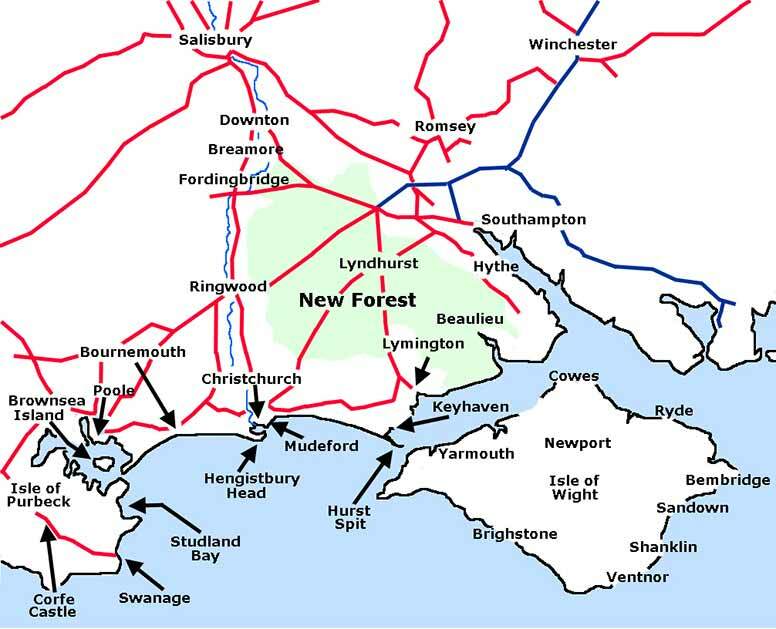 Included here are many suggestions for a wide variety of places to visit, and all within a 35 mile drive of Lyndhurst, the unofficial 'centre' of the New Forest.